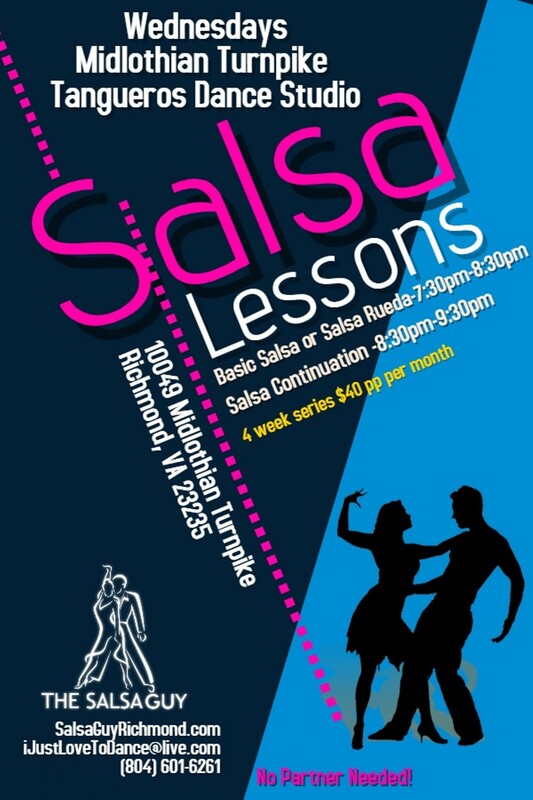 Basic Salsa or Rueda de Casino Dance Lessons | Tangueros | Happenings, Music, Nightlife | Style Weekly - Richmond, VA local news, arts, and events. Price: All group classes cost $40 for (four-week series $10 per person). Single classes $10. 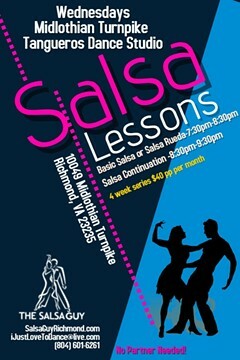 About the classes: Students will learn the basic salsa, bachata and merengue steps and to lead and follow. Classes start the first Wednesday of the month.